The numbers matter. A business needs an accurate financial picture to make smart decisions — and mistakes can be costly. 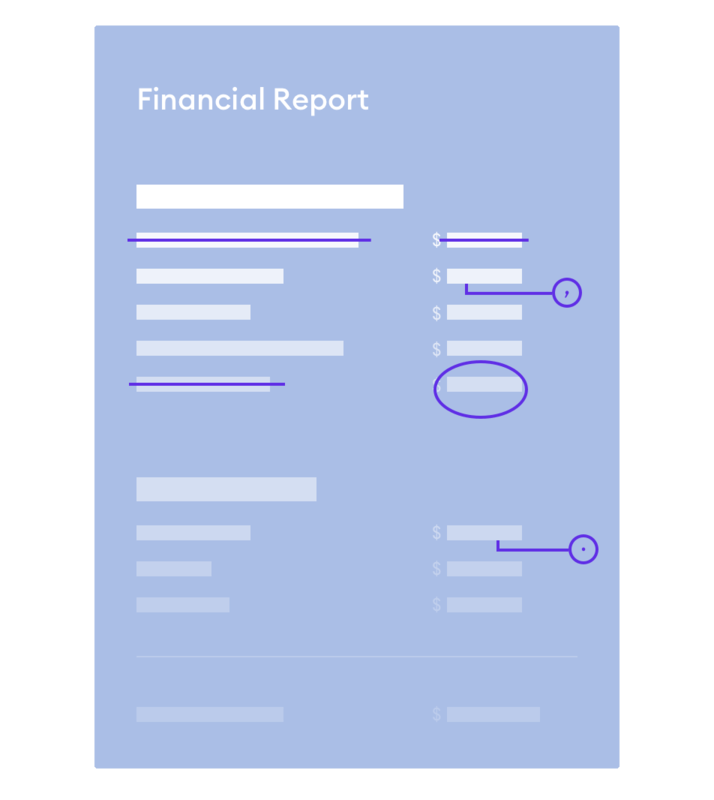 Your Pilot bookkeeper uses our software to generate the most accurate financial reports possible, so you have every detail you need to make those smart decisions. Pilot is light years better than companies that have a dedicated in-house accountant and light years better than any of the other services I’ve used. Business finances can be confusing and stressful. You’re probably going to have questions. Good news: Pilot thinks questions are a good thing. That’s why support is included with every plan. The same dedicated account manager who handles your books each month will be on hand to answer your questions and guide you through any concerns you have. I wish every company took customer support as seriously as Pilot does. I appreciate the detail, quick turnaround, and ease of what is usually a nightmarish back-and-forth with my bookkeeper. You don’t have time to explain seed rounds or preferred stock to your bookkeeper. We know how it feels, because Pilot is made by startup founders. That’s why hundreds of startups choose Pilot for their bookkeeping – so they can scale knowing their financials are in order. Everyone we tried before Pilot did not know how to deal with early-stage startups. Pilot fixed a bunch of things that were broken in our books and it's been smooth sailing ever since. Books are important, but they aren’t why you started your business. Unless you have a personal passion for it (in which case, we're hiring), learning the subtle art of bookkeeping means taking your focus off the parts of your business that are your passion. When Pilot handles your bookkeeping, you have more time to do the things that make your business succeed. We offer simple, predictable pricing. Our software-based approach means as your business grows, we can keep up with you. And the best part? Pilot often costs less than a traditional bookkeeper. We have customers who’ve been with us from seed to series C. Because we learn your business over time, we’re well suited to advise on how to deal with expenses, invoices, purchase orders, or any new surprises that come up as your business scales.